The South Siders will stay off the track at this weekend’s Wisconsin Twilight meet, but two fourth-years will take to the field. After last week’s UAA Championship, head coach Chris Hall has made the decision to rest all but two members of his squad. 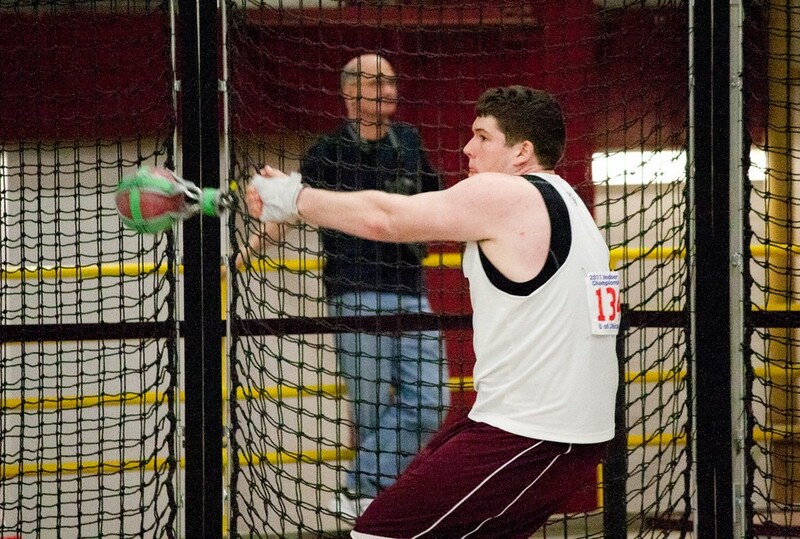 Throwers Daniel Heck and Nick Rockwell will be the only Maroons competing. There are still three weeks left until the NCAA Championship at the end of the month, but for the majority of Chicago’s squad, the outdoor season came to its competitive conclusion at last week’s conference meet. As the season now takes on a more individual focus, Hall has decided to give his team a chance to recuperate as they look toward next week’s Chicago Penultimate, the Maroons’ last home competition of the season. For Heck and Rockwell, however, it will be business as usual. Rockwell will compete in the hammer throw and the shot put, while Heck will focus solely on the hammer. “With only two of us competing, it will really allow me to focus on my throwing instead of worrying about how the team is doing,” Rockwell said. The two men had very different performances at the UAA Championship. Heck secured a second-place finish in the hammer throw after entering the competition seeded seventh, while Rockwell’s best event was the shot put, in which he finished eighth. As for Heck, there is still hope for NCAA qualification and All-American honors. To qualify as an Academic All-American, Heck will need to rank in the top 35 in the country, while a top 20 seed will allow him to qualify for nationals. Heck’s season best is currently the 52.20m he threw last weekend. To make the top 35 in the nation, he will need to throw more than 53.68m and for the top 20 he will need a throw of more than 55.63m. For both men, the next few weeks of the season will be the last of their college careers and their last chance to leave a mark in the Maroon record books. The Wisconsin Twilight gets underway this afternoon and continues through Saturday.